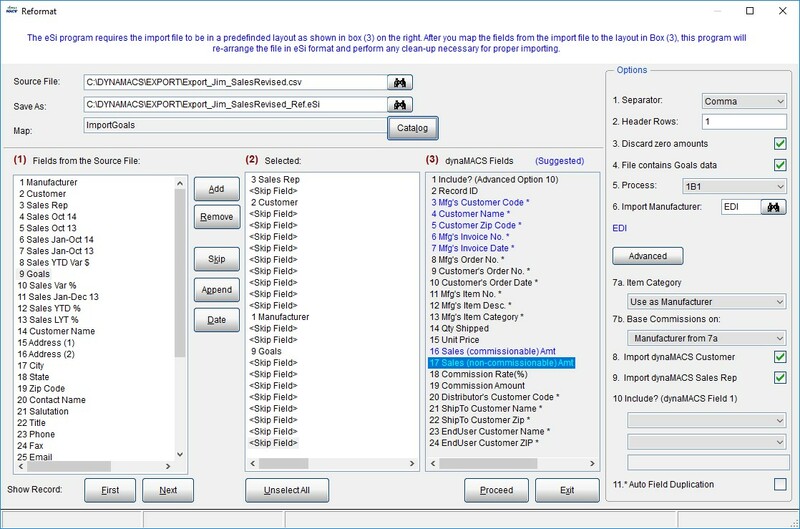 Save hours of manual entry by exporting your sales data out of Sales IQ, manipulate the annual number and simply import your sales goals for the next year back into dynaMACS. From the Sales IQ screen enter in a sales rep that you would like to create goals for. Select ALL from the Selector drop-down list. Wait for dynaMACS to process your request. Name the file and place it in a directory that you will remember where it is located. Exit out of Sales IQ. Find the file that you just saved. 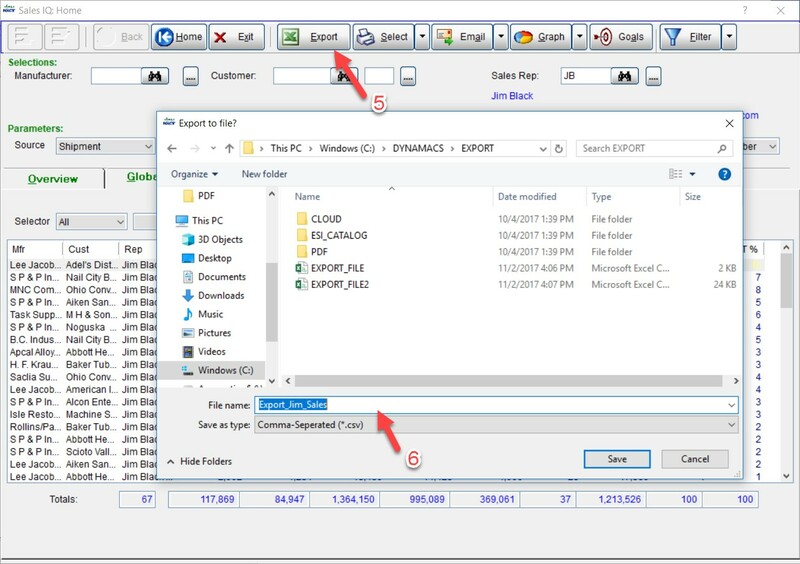 Double click on it and the file will open in Excel. Insert a column next to the Sales Jan-Dec 17 column (F) and name it Goals. Create the formula with the percent that you would like to change. (Example shows 15%). 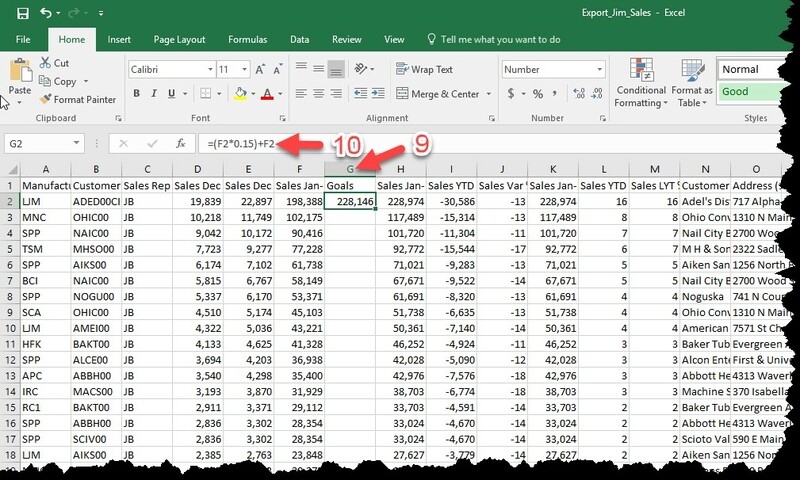 Copy the formula down the spreadsheet and save it as a csv file. Go into the eSi reformat screen for dynaMACS. Process through the rest of the eSi steps. Need the option to enter monthly goals for each customer by manufacturer, not just annual goals. There is a seasonality feature in dynaMACS that can do a percentage for each month. I will have our support team contact you regarding this. dynaMACS Field 1 (Advance Option 10) is indicated in the mapping, but what option to choose on the far right for Option 10? Also – Does it matter what Import Manufacturer is chosen for Option 6? Does the eSi separate them out once imported? 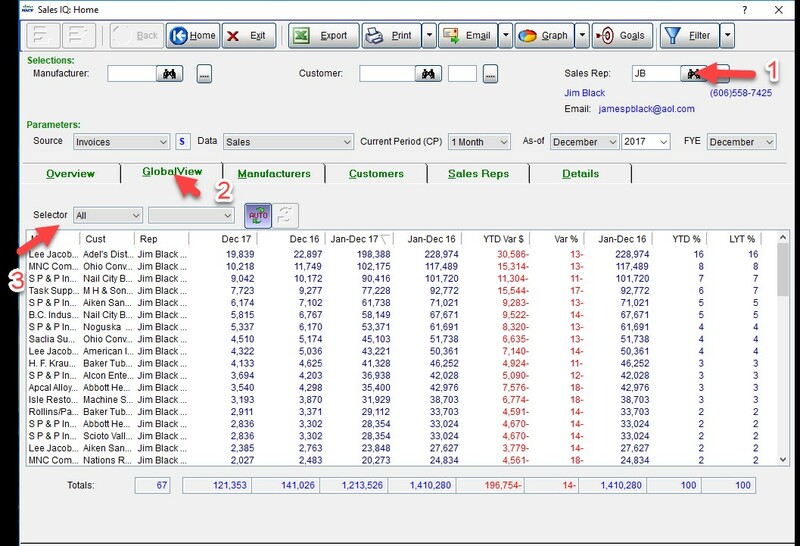 When you import a spreadsheet into dynaMACS it is normally for 1 manufacturer. If you have multiple manufacturers on a single spreadsheet please call support for assistance.